2017 is a promising year for EUREC. At the occasion of the previous College of Members (CoMs) held in December at the premises of Fraunhofer ISE in Freiburg, the members agreed on a set of priority actions to be implemented by the Secretariat as part of its efforts in ensuring a prompt transition to a sustainable energy system in Europe. Two CoMs will be organised this year: one in Brussels on 23rd- 24th May dedicated to "Digitalisation of the energy system” and another one in Turkey at the end of the year. The College of Members is the main gathering where EUREC members can meet fellow partnering organisations to discuss renewable energy technologies and policies. EUREC will continue to play an important role ensuring the success of the European Technology and Innovation Platforms (ETIPs) dedicated to renewable energy. These are structures gathering all the relevant stakeholders, with arrangements for cooperative discussions with Members States and Associated Countries (MS/ACs) and the Commission services. Their main role is to provide strategic advice to MS/ACs and the EC on all issues relevant to progressing their R&I efforts, building on consensus among their stakeholders". 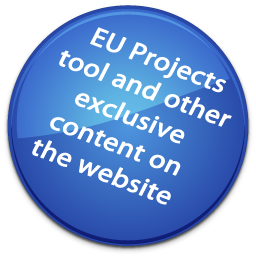 EUREC is currently involved in the Secretariats of the PV and Renewable Heating and Cooling ETIPs. The EUREC College of Members 51 was successfully held on 6-7 December 2016 at the premises of Fraunhofer-ISE in Freiburg, Germany. On the first day EUREC organised a workshop dedicated to Energy System Modelling. In the event, EUREC members presented their experience with the topic. A roundtable and discussion followed the presentations. In the afternoon, the participants visited the facilities of Fraunhofer-ISE and in the evening, the EUREC Secretariat celebrated the association’s 25th Anniversary with the membership. But while the outputs may not be immediately obvious, they are certainly there, as can be seen from a number of sources. For one, the European Commission collects information on the results of the projects it funds and presents it quantitatively in annual monitoring reports. The new European Technology and Innovation Platform Smart Networks for Energy Transition (ETIP SNET) launched its activities at the end of 2016. The Working Groups (WGs) are currently created and will address matters such as: the reliability and efficiency of the smart grid system, storage and interface to other energy networks, flexibility of generation, digitalisation of the energy system and exploitation of research results. ETIPs have been created in the framework of the EU’s new Integrated Roadmap of the Strategic Energy Technology Plan (the SET Plan) – Europe's energy RD&I master plan. ETIP SNET is to guide research, development and innovation to support Europe's energy transition with innovation for the transmission and distribution systems. These systems form the technical and market platforms where clean electricity generation, empowered customers, storage technologies, smarter grids and interfaces to gas, heat and transport networks make the energy transition happen in secure and affordable ways.